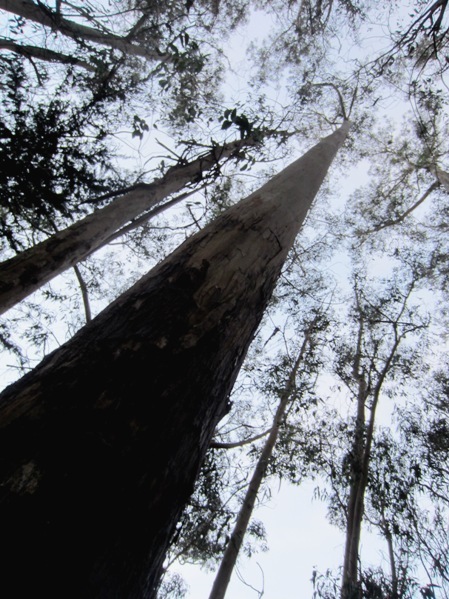 It’s Earth Day today, and we’d like to talk about the importance of Eucalyptus trees. Surprisingly, even some people who identify as environmentalists have no idea of the far-reaching value of these trees in our environment. 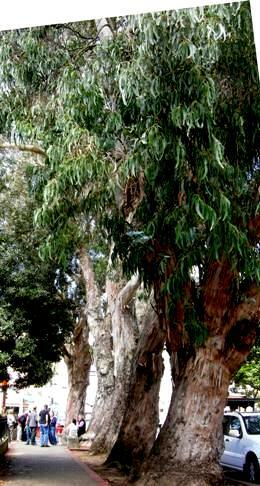 San Francisco has a lot of eucalyptus trees, mainly in its parks. According to a 2007 USDA report on San Francisco’s urban forest, this species accounts for over 16% of the the total of 669,000 trees in the city. This more than any other kind of tree. It’s a sturdy, fast-growing, graceful tree that grows where others will not – in areas of high wind. As we enter a world of increasing climate change, we’re starting to understand the value of carbon storage. Trees capture carbon dioxide from the atmosphere, and store it in their wood, roots and leaves – and in the soil beneath them. The actual amount stored is proportional to the dry weight of the wood and organic matter. Eucalyptus is particularly good at sequestering carbon. It grows large, which again means it stores more, in the trunk and branches and its root system. It lives a long time, around 400-500 years in the kind of wet conditions we have in San Francisco, which means it will not be giving back the carbon any time soon. In places like Sutro Forest, where it grows in association with acacia trees – a nitrogen-fixing species – it’s even better at storing carbon. The carbon gets stored in the trees and the soil. Sutro Forest is an excellent carbon sink. Eucalyptus is also excellent as wildlife habitat, despite contrary claims. 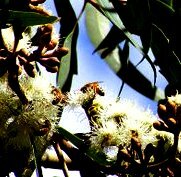 Eucalyptus has nectar-rich winter-blooming flowers. It’s the largest flowering plant in the world. In the Bay Area, it flowers when few other trees or plants are in bloom, and its flowers are rich in nectar. 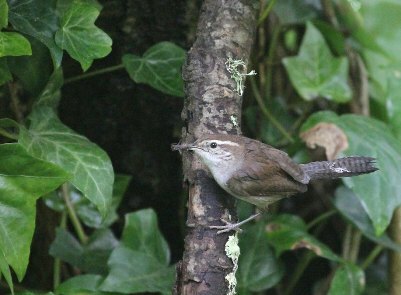 It provides a food source to insects and the birds that feed on them, as well as directly to nectar-feeding birds. 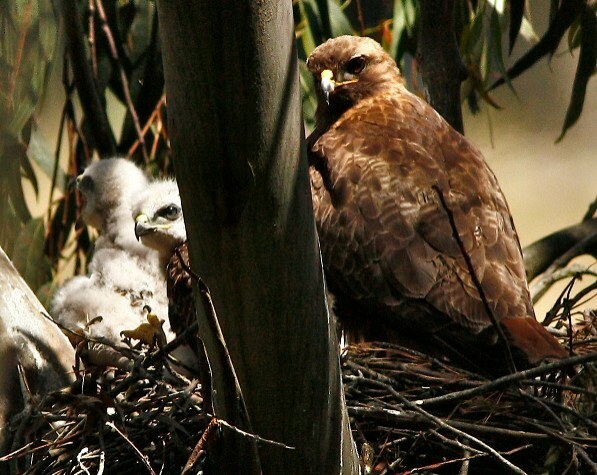 Eucalyptus trees provide nest sites for a whole variety of birds. As the trees mature, cavities form or are excavated by woodpeckers. 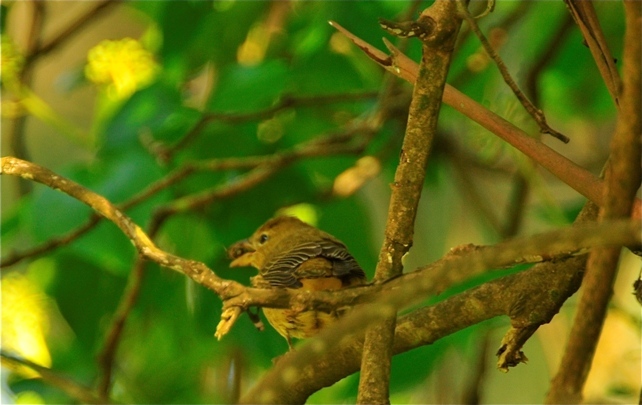 These form nest sites not just for woodpeckers, but Western Bluebirds and other cavity-nesters. The crooks of the branches provide nesting spaces for Great Horned Owls and for Red-tailed Hawks. Where ivy or other vines are allowed to grow on eucalyptus trunks, they provide additional nest sites – as well as excellent cover for little birds, bats, and small animals to hide from predators like hawks. In areas like parks – or Sutro Forest – where the leaf litter is allowed to accumulate under the trees, it provides an excellent habitat for small reptiles like salamanders. The damp environment is good for animals like banana slugs, which have been seen in the forest. Like all trees and bushes, eucalyptus helps control pollution, especially particulate pollution. The particles are trapped on the leaves, and washed to the ground when it rains – thus staying out of our lungs. Barriers of trees and dense vegetation also help absorb the sounds of urban life. San Francisco is working hard to slow water run-off, to keep rain water out of our sewer system and let it soak into the ground. They’re encouraging people to use build sidewalk gardens and use permeable paving so water can get through to the ground rather than run off. Eucalyptus is excellent at slowing water. It moves a lot of water, sucking it in through the roots, and transpiring it through its leaves. The leaf litter and plants that grow below it also help in trapping wand slowing water. In San Francisco, they help enormously in slowing run-off; you can see the obvious difference after a rain-storm between the water running off Twin Peaks Boulevard in a river, and the relatively small amounts running off Mount Sutro. As we’ve been reaching out to let people know about the threat to Sutro Forest, we’ve been encountering some people who despise eucalyptus. We’re not talking of developers, who don’t actually hate trees, only obstacles of whatever species or nature. We mean people who identify as environmentalists – as we do, too. But they have focused on Native Plants, and fail to recognize the importance of eucalyptus in our environment. We urge UCSF, the Sutro Stewards, and SFRPD to recognize the urban environment we live in, and the unique value of eucalyptus in our city. No other tree is as useful from an environmental standpoint. It’s time to stop attacking these trees and to start recognizing how much they’re doing for us. San Francisco had, in 2007, only 12% canopy cover – less than almost every city in the report except Jersey City, NJ. Our city cannot spare its majestic and valuable eucalyptus trees. This entry was posted in Environment, eucalyptus, Mount Sutro Stewards, nativism, Natural areas Program, UCSF and tagged environment, eucalyptus, trees. Bookmark the permalink. Though well-meaning, you are not environmentalists. You are conservationists, as your central aim is to conserve eucalyptus that, as it turns out, is a non-native species to which you have a romantic attachment. You use environmentally-related arguments to defend this central conservationist aim. Your argument that Eucalyptus is “excellent” wildlife habitat sidesteps the fact that the native habitat is crowded out by Eucalyptus, in turn reducing or eliminating habitat for native plant, bird, insect, butterfly, and animal species. 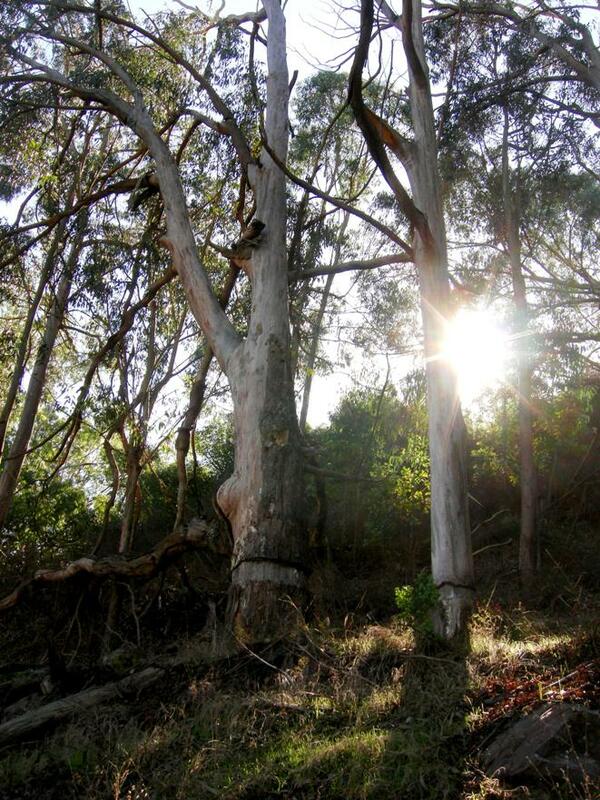 Are you arguing that Eucalyptus provides more habitat for native species than native habitat? Surely not. Perhaps you should acknowledge as much, though to do so would unravel your central defense. Prevents water run-off? In a city that should conserve more water, this is water down the tubes, or up the (eucalyptus’s) tubes, as it were. And comparing it to Twin Peaks? Surely that’s related to Twin Peaks being more paved, no? Anyway, what’s the comparison to water absorption of native habitat on Mt. Sutro? That’s the relevant comparison. And as a key part in the profound fight against climate change? Even if your numbers are correct, its contribution this fight is incredibly minute. If we take care of the other thousand more things that must be done to fight climate change, and the problem still isn’t solved, then let’s talk about eucalyptus in SF. To be clear, I’m also influenced by romance. In my case, it’s a romantic attachment to lifeforms that thrived before humans messed with their very existence, in this case by introducing a species that failed to accomplish what its introducers said it would. [Where you’re coming from is understandable, and we’re in favor of preserving actual areas of native plants – like those above Laguna Honda reservoir, or on Mt Davidson’s east side. We’re not in favor of destroying existing thriving and functioning ecosystems like Sutro Forest. As for eucalyptus – in the city it was introduced primarily as a decorative tree. In fact, it’s been much more valuable than Adolph Sutro had envisaged. This article does not mention the metabolic trick of eucalypts or resorbing nitrogen and phosphorus from their leaves before leaf fall. This means that the leaf litter under eucalyptus is deficient in these nutrients, compared to the litter under forests with more mixed canopies. My personal observations (WAY short of a random quadrat sampling study, but still suggestive) find low molluscan diversity under eucs. Ariolimax (banana slugs) do occur, but the native snail genera Helminthoglypta, Vespericola, Trilobopsis, and Haplotrema are rare (three of them seen by me in one spot in the Presidio, and Vespericola not at all). The whole study is: Dov Sax, “Equal diversity in disparate species assemblages: a comparison of native and exotic woodlands in California,” Global Ecology and Biogeography, 11, 49-52, 2002.